There are 2 submittal dates for Photographic Society of America (PSA) where TMCC competes as a club in the “Projected Image Division Group C. check out their website psa-photo.org. 3 judges will review the entries and the top 6 point scores become the TMCC entries to the national competition. This happens twice in the next couple of months. No theme… These should be your best photos of the year !! Tuesday, September 25th, 7-8pm Presentation given by Donna and Steve, too, if he is in town. 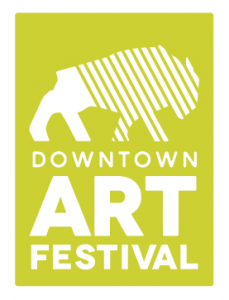 The 3rd Annual Downtown Art Festival brought to you by Alpine Bank with support from Rocky Mountain Health Plans kicks off on October 5th during First Friday. Visit Downtown galleries and local businesses to see local talent displayed in various forms of artwork. The Festival continues on October 6th with the installation of the 2018 Art on the Corner temporary exhibit. Wander through Downtown galleries and businesses that are hosting artists and performances of all kinds throughout the day on Saturday as well. The 2018 Call for Artists is now OPEN! Click here to register.